Palibex invested in a large central warehouse in Madrid with more than 5,000 square metres of storage space and 50 loading docks. 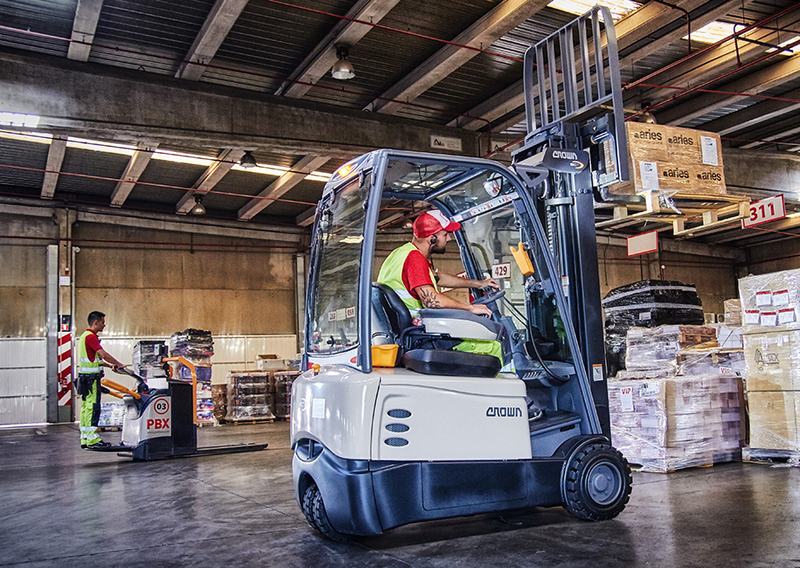 The company started to analyse the market in order to find the forklift truck models best suited to their night-time operations, which require high levels of productivity and speed so that the company can provide its express 24-hour distribution services. This meant the fleet had to be sized very carefully, because they were already planning to add more vehicles in the short term in order to keep up with the steady growth of their business activities and network of franchisees. When the company was first established three years ago, they were moving 450 pallets a night for 23 companies. Now they manage 2,500 pallets at 52 sites across Spain, employing over 600 workers and operating a fleet of more than 500 goods vehicles. Palibex chose the WT platform pallet truck with its robust steel covers and advanced suspension system and the SC electric forklift, which includes an intelligent Intrinsic Stability System that provides a proactive approach to stability and control. Both models were most suitable for the Palibex rear-loading approach while also being tough, stable and at the same time ergonomic and highly manoeuvrable. The collaborative relationship between the two companies facilitated the whole process of adapting the new machines to Palibex’s facilities and operational processes. The company appreciates the agility and manoeuvrability of the new trucks, as well as their ergonomics, strength, extended runtime, durability and reliability. With addition of Crown’s InfoLink® fleet management system, Palibex is also able to monitor impacts and identify potential safety and productivity improvements. > Greater operational flexibility and improved worker productivity through the use of sturdy, ergonomic and reliable vehicles that are also more agile in the company’s confined working conditions. > Cost savings thanks to the incorporation of Crown’s Infolink® fleet management system, which facilitates rapid operational decision-making based on financial considerations and improved service. > Optimised fleet based on new models with higher battery capacity and Crown’s lateral battery transfer system, capable of keeping up with the steady growth of Palibex’s activities.